is open to quilters of every skill level. Meetings are held on the first Tuesday of every month at 6:30 p.m. The North Country Quilters began n 1978 with Sally Perry and Frances Bouffard. Sally taught quilting classes in Frances' needlecraft shop. The group began meeting monthly at the home of Frances Bouffard. Members worked on projects, learned new skills, made quilts for new babies, disadvantaged children, nursing home residents, and helped each other baste or tie near-completed quilts. As the group grew, the meeting places changed to the Newport Senior Center, the Church of God, and the Church of Jesus Christ of Latter Day Saints (Mormon) in Newport. As of January ﻿2015 the group will meet again at the Church of God. From a start of 6-8 members, the group now has over 60 members from both Vermont and Quebec, Canada. The logo used in our name tags was designed by Frances's husband, Gerard Bouffard. In order to share the members lovely creations with the community, it was decided to organize a quilt show at the Municipal Building in Newport. The first was held in 1982 and continued annually for another 10 years when, starting in 1992, the show was held only in the even years. 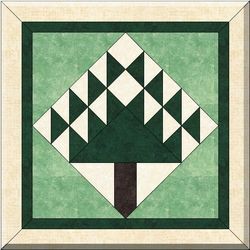 Besides a dazzling display of quilts, the quilt show always features several vendors with quilt-related items, a raffle of small hand crafted item, and the group's raffle quilt. This past years quilt, 2014, was a king size "Glory of Autumn" quilt made by the North Country Quilters and quilted by Sherry Greenwood. Proceeds from the quilt show benefit guild projects including Comfort Quilts, providing quilts to needy children and seniors in our area. Among some of the more interesting projects is the Quilt Trail of Vermont's Northeast Kingdom. This is a collection of 4' x 4' quilt blocks hung on various barns, homes, and businesses. Students and art teachers from Lake Region and North Country Union High Schools put their talents and efforts into painting the first dozen blocks. A brochure with map is available at area shops and information centers. Directions to meeting location: coming from the north take exit 28 off Rt. 91 go south on rt. 5 at the second traffic light by CVS, Kinney Drug and Community National Bank turn left onto Crawford Rd. the church is on left less than a half mile. Enter the building on left side into community room. From the Newport side of town on Rt. 5 turn right after Community National Bank onto Crawford Rd.